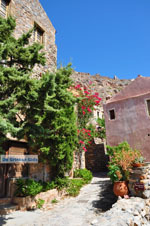 Monemvasia (Monemvassia). 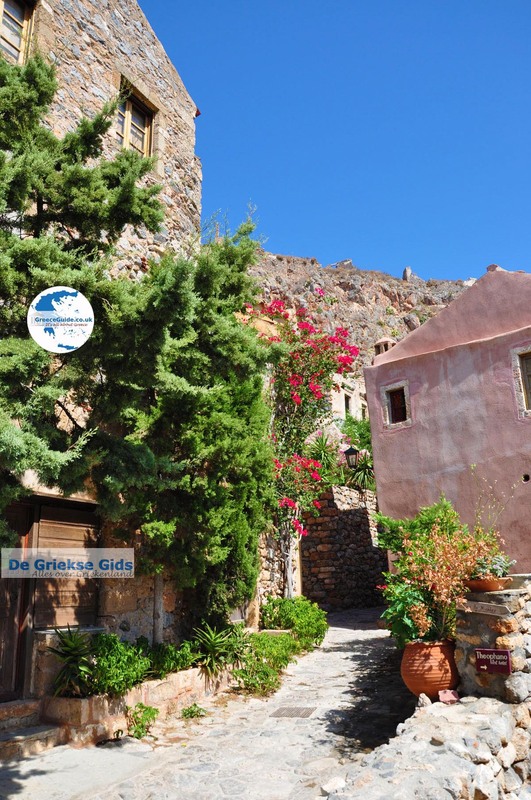 A special place every visitor to the Peloponnese should visit is undoubtedly Monemvasia. 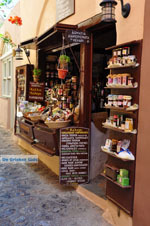 This town is located in the southeast of the Peloponnese on the Aegean coast and is called "Gibraltar of the East" because of the similarities with the real Gibraltar; Monemvasia is located on a high rocky peninsula island connected by a narrow strip and a bridge to the mainland of the Department of Lakonia. I visited Monemvasia from Kalamata, Messinia. It's a fun daytrip to make and is absolutely worth it and also to combine well with a trip to Sparta and Mystras. 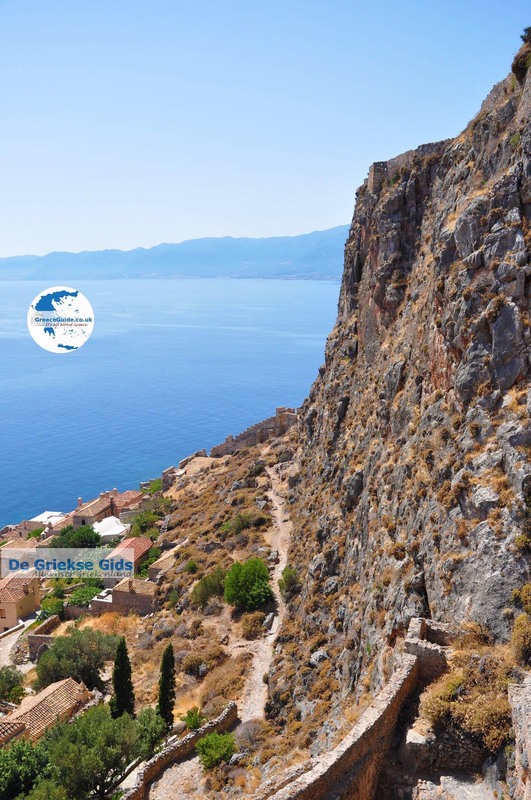 The name Monemvasia is derived from the words 'Moni' what 'some' or 'a few' means and 'Emvasis' what means 'only'. That explains a lot, because you can only reach this peninsula this way. The Greek poet Giannis Ritsos who came from here and is buried here, called his city "the stone boat." If you are going today to this area and wish to visit the "rock", then you can drive over the 150 meter long narrow bridge right to the 'island' to the main entrance. Right and left of the road you can park the car, You can also leave the car at the side of the new city on the beach where various cafes, tavernas and hotels are and walk from there to the fortress. The peninsula is one and a half kilometres long and about six hundred meters wide. When you walk into the main gate, you imagine yourself in medieval times. 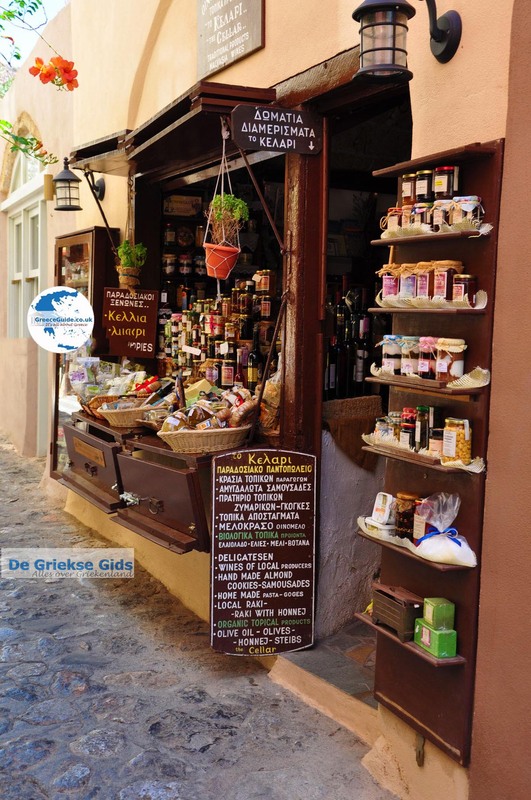 Nowadays there are many small souvenir shops, quaint cafes, beautiful churches and behind it the beautiful blue Aegean Sea. Although it is a dry 'island', you will see beautiful flowers everywhere and bougainvillea’s. The old town is divided into the lower and the upper city, both areas are surrounded by walls of high cliffs, real strongholds. The town below is on the south side of the rock. 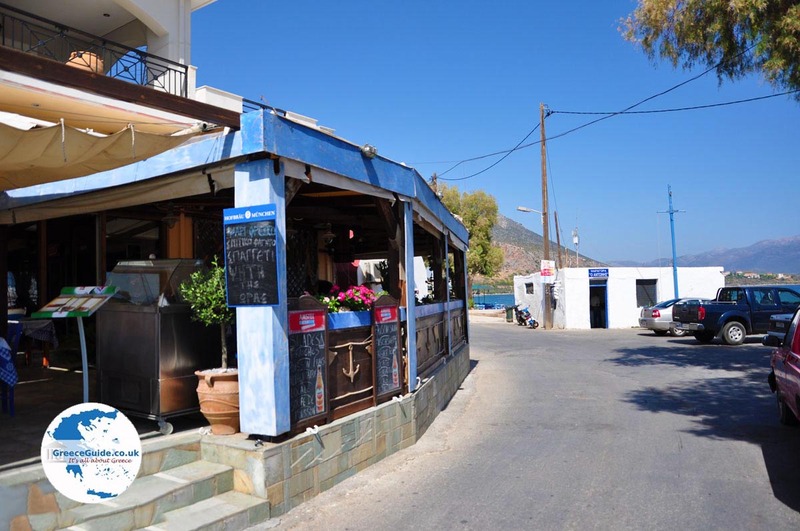 Most of the buildings are on the slopes of the rock and through narrow alleys and stairs, you can stroll through the quaint little town. 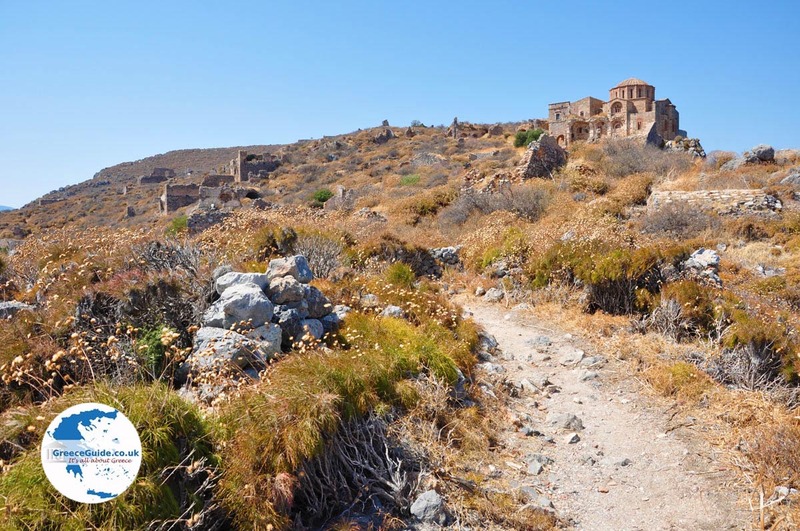 People who have difficulty walking, can take a chance to get through the stone stairs all the way to hike to the top, from above, you have a fascinating view of the lower town and the new town and of course the beautiful sea. It's like a mountain plateau which is 200 meters high. Above formerly attended the rich people, the 'ordinary' people lived downstairs. Around the plateau are only steep slopes. 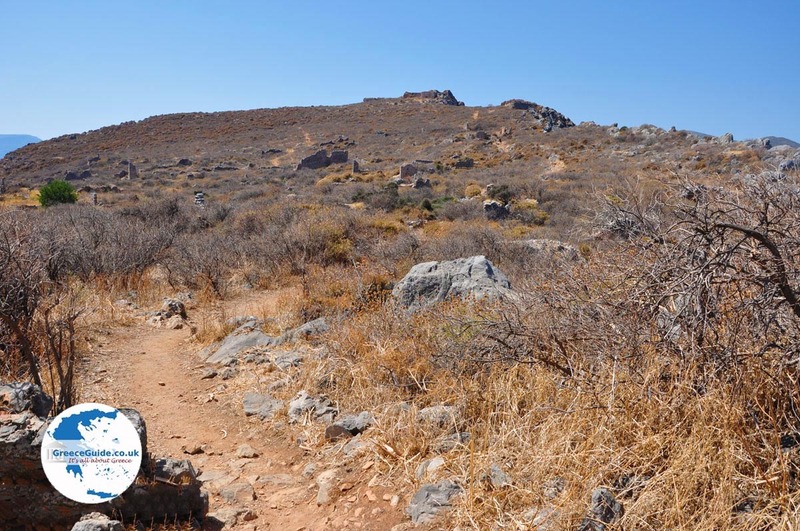 Monemvasia has been inhabited since ancient times, because it's in a strategic place was it was always sought after by various conquerors and pirates. 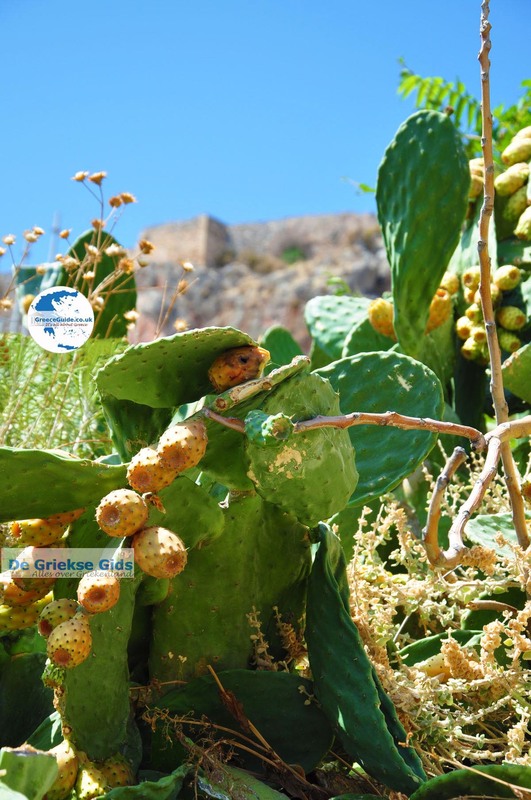 During the Minoan period and the Cycladic time it was a sort of trading post between the Greek islands, Crete and the Greek mainland, when it still was called Akra Minoa. In the year 375, after a heavy earthquake rattled part of the peninsula in the sea, and from that moment Akra Minoa is not a peninsula, but an island, after all, was now completely surrounded by sea. In the sixth century settled here people from Laconia to protect themselves from attacks by Arabs and Visigoths. A bridge will be built connecting the mainland with the island and from the island is called Monemvasia. Monemvasia from that moment a great fortress and is an important strategic, economic and religious role to play in the Byzantine Empire. It is the administrative seat of the imperial possessions in the Peloponnese and acts as a maritime attack base against the Avars (a Turkic people from Asia). In the first period all residents living uptown, downtown just being built in the tenth century. 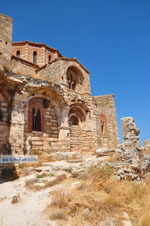 By Geographic location Monemvasia remained the object of desire for many conquerors, but especially the major powers who came to power in the course of centuries in the area. Franks, Byzantines, Venetians, the Pope, Turks, one by one they wanted to again conquer Monemvasia every time, yet the inhabitants preserved their autonomy and identity. Around the year 1200 the Franks after forty years of trying to occupy Monemvasia used the knights to separate the island and no food was permitted. One arrives at a kind of consensus in which the residents were forced to surrender while preserving their freedom and exemption from excise duty. However, the men had to serve in the army of the Franks. However, this occupation was not long because Monemvasia was recaptured by the Byzantines and since then it had a tremendous economic prosperity, because of maritime relations, the free trade zone where they could operate the tax-free trade, which it concluded with the Byzantium. 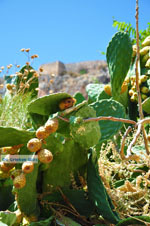 The thirteenth and fourteenth century go down in history as the golden age of Monemvasia. In this period there were forty eight thousand homes and churches built, many Byzantine Emperors come here even to live. The area was a popular type of wine, also Malvazia (derived from Monemvasia) This wine was very popular with emperors, kings and wealthy people at that time. The wine had such fame that it was even mentioned by Shakespeare in his historical work "The Tragedy of Richard the Third." It is a sweet wine that originates from white and red grapes. From the year 1463 Monemvasia fell into the hands of Venetians and Turks alternately until the year 1821 when the Greeks revolted against the Turks and then it regained it’s freedom. 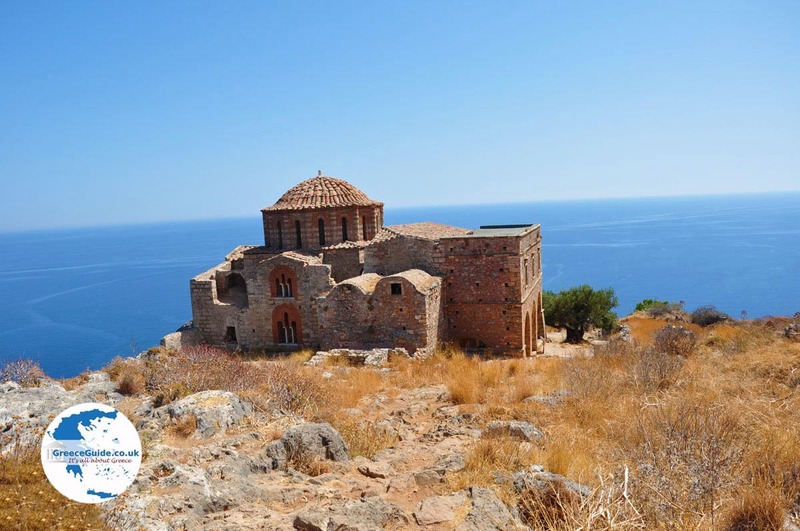 When you visit Monemvasia today you see many traditional buildings, beautiful Byzantine churches and important historical monuments. On the main square, in the lower city is the Cathedral of Christos Elkomenos which was built in the twelfth century. Other important churches are Panagia Mirtidiotissa (Panagia Kritikia) Chrisafitissa Panagia, Agios Nikolaos and Agios Stefanos. 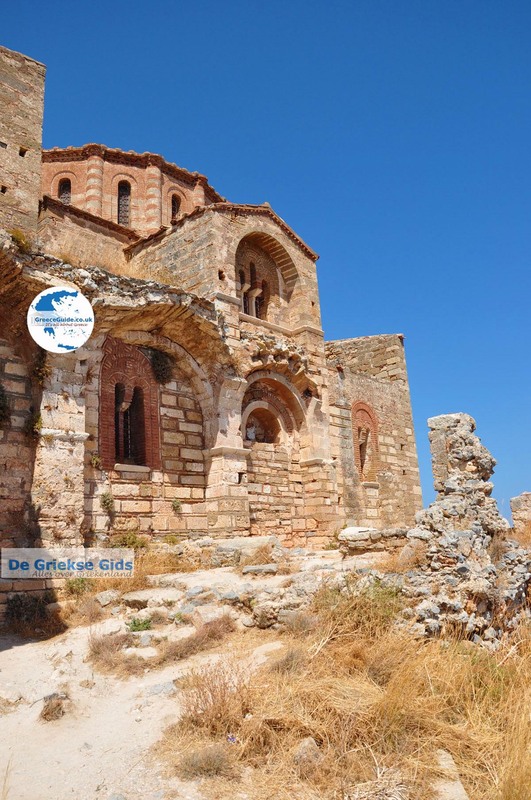 Next to the cathedral of Christos Elkomenos is a museum, where architectural sculptures and ceramics are on display, which were used in everyday life. In the upper town is the church of Ayia Sofia which is at the edge of a steep slope. What I really liked were the many terraces with lovely views, surrounded by traditional buildings and streets with flowers and beautiful gardens. The inhabitants have obviously a lot of respect for their village, because everything looks nice and neat. 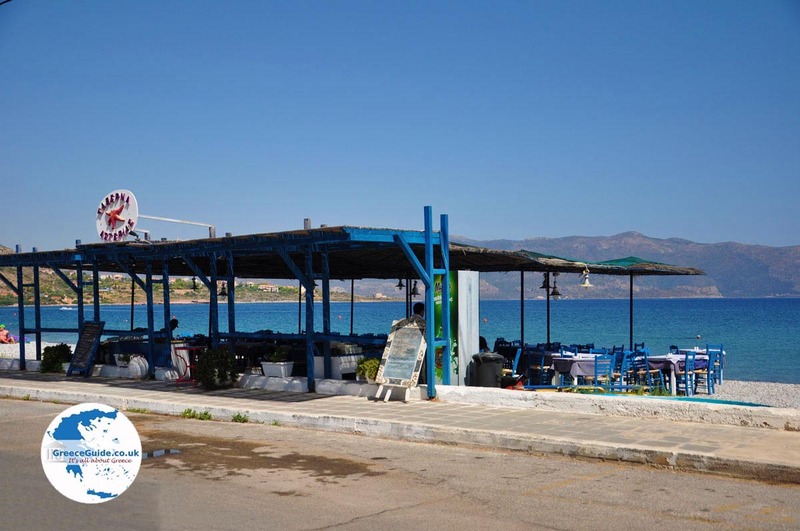 At a higher bar, on a small terrace, I enjoyed a delicious ice cold frappe, under an olive tree, overlooking the churches and beautiful buildings, the sea and the coast of the Peloponnese. It's a wonderful place to sit and look around, I realised how important this place has been over the centuries. 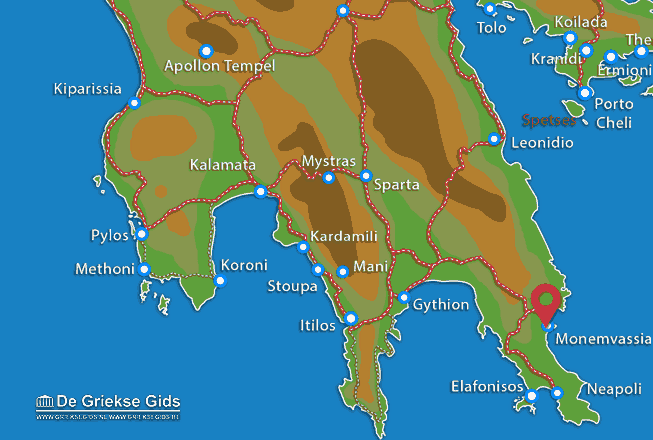 Lakonia: Where on the map is Monemvasia located?